Oh Emmanuelle Alt, how we adore you! Though she's the Editor-in-Chief of French Vogue, the pinnacle of high fashion, Madame Alt consistently rocks some of the most laid-back looks we've ever seen. She really is the epitome of effortless, French chic. 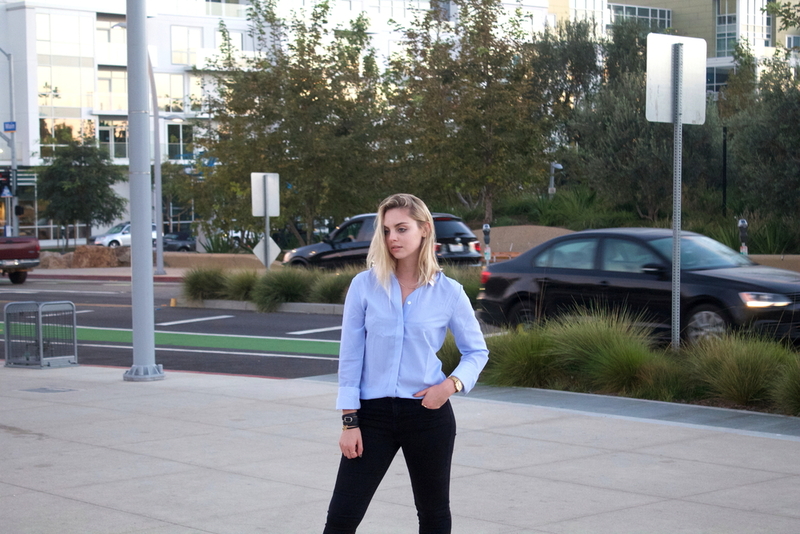 Her go-to uniform consists of a loose-fitting button down, basic jeans, and sleek pointed toe pumps. It should be no surprise, then, that we attempted to channel her ultra-cool style. Not only is this look easy to do, but its also a no-brainer for those times when you're fresh out of outfit ideas. Jeans: J. Brand Black Skinny Jeans, similar here.